19 And being not weak in faith, he considered not his own body now dead, when he was about an hundred years old, neither yet the deadness of Sarah’s womb: 20 He staggered not at the promise of God through unbelief; but was strong in faith, giving glory to God; 21 And being fully persuaded that, what he had promised, he was able also to perform. 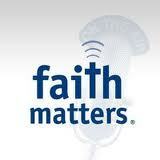 This is the second installment of a multi-part series on Faith that Produces. In the previous post, I introduced this series to attempt to give the reader an idea into the subject of faith and why it is important that our faith be dynamic and not static. In other words, our faith should be productive, alive and moving. This is important because failure to do so can cripple our ability to be the “light” in a darkened world. Many Christians seem to be of the opinion that simply being a Christian is enough. Some are even waiting to get out of here and go to heaven. Unfortunately, I believe such an attitude is selling short the power of the Believer here on earth. A faith-filled Believer has the ability and the responsibility to be salt and light…a full representation of the Love of God to everyone we come in contact with. It is not enough for our faith to be evident within the context of our spirituality only. Yes, we are to be that light—that city sitting on the hill—which cannot be hid. People everywhere we may be should see something special, something different in us. But even that is not enough…because our faith should produce. To produce is to: bring forward, bring into existence or bring into view. What are we supposed to bring forward, into existence or into view? It is the evidence of our faith in the power, glory and blessings of God to us as Believers and to everyone who will trust Him with the circumstances of their lives as well. Planting the seeds of faith on the inside is what every Believer must do. However, this is not something that can be done unintentionally…it is very intentional. The scriptures teach that every righteous person must “live by faith.” This is an intentional life…one that depends on faith in God and His Word for its very existence. Every promise He has given us, every promise that Jesus died to secure for us is to be appropriated by faith. And believe me, God’s promises are very real and tangible. This is why I stress that our faith should produce on a consistent basis and not be something that we just say we have…it should be evident! Please check back as we probe deeper into this topic…. Wonderful Truth! We MUST be intentional in our walk. I don’t leave the house without some Christian tracts in my purse and an extra Bible in my car. Hello Kathleen…I apologize for the late reply. Thank you for your response to this post…it is such a blessing! By our love for each other the world will know we found Jesus. By their fruit you shall know them, whether they believe or not. It is the work of God Almighty. Our work is to believe (John 6:29). Bury our gifts and we have failed God Who wants to use our gifts to bring glory to the Most High. Your teaching is to the point that God wants us to Live, not Languish. Thank you for this! Your response hit the core of relevant Faith! Blessings!